When faced with deadlines and multiple moving parts, it can often be overwhelming to think about what will happen if an order gets delayed. Sometimes, there is nothing that can be done as the delays are completely outside of human control. But, there are some simple steps that you can take to minimize the likelihood of delays and help ensure your job goes off without a hitch! Our goal at Heritage Screen Printing is to give you the best service possible. 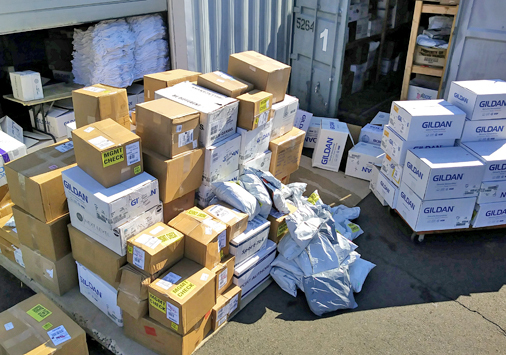 This is the first in a small series insider tips & tricks for smooth sailing orders. First, did you know that there are days when we receive hundreds of boxes and bags from our clients and suppliers? Just take a look at these photos! This is from one UPS truck! 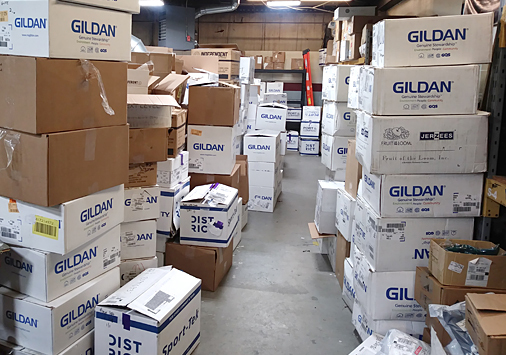 Some days, we have so many boxes of goods to sort through that it looks like we are preparing to build box forts in the screen room! Because of the volume of goods we receive, it’s imperative that we have a system to find the items for your order. Suppliers allow you to enter a PO# to your order during the check-out process for identification purposes. Heritage uses these PO’s to identify your goods. We ask that if you have submitted a PO to Heritage for your job, that you use the corresponding PO when ordering your goods. See the photo below. When sorting through thousands of bags and boxes, we can’t stress enough how important it is that these PO#’s match. Just following this simple suggestion can save our team hours of searching and can help ensure your job is completed on the scheduled day. Stay tuned for more insider tips, coming soon!! !